Digital marketing is the ultimate phase of the Internet World. 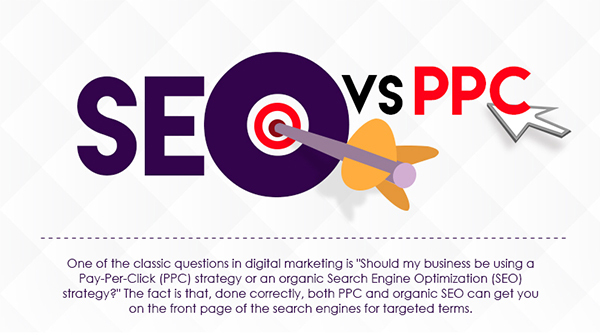 Irrespective of its nature, one of the classic questions in digital marketing is “Should my business be using a Pay-Per-Click (PPC) strategy or an organic Search Engine Optimization (SEO) strategy?” The fact is, done correctly both PPC and organic SEO can get you on the front page of the search engines for targeted terms. Robert Wulff: Says your SEO efforts will directly help your PPC results as well. To put it simply, the process of acquiring top position in search engine result page in an organic manner is Search Engine Optimization. The best way to start SEO is to get your website created and content for the website added. Once you are done, you can start with your website optimization. Great website comes with great content. For optimizing your website, content is as important as water for floating a boat. Use important keywords that you think people will use to search products or services you offer. Content without relevant keywords is like a boat in the water without a boatman. A domain name or the web address of your website, for example www.submitedgeseo.com should be as short as possible and it should be comfortable with your brand name. After this, you should start naming your URLs. A specific page of your website is the URL, for example www.submitedgeseo.com/infographic-creation-service.html. URLs will only prove helpful for your site, if it includes main keywords related to that page. Metadata is data about data. It describes basic information about data. The page titles and descriptions within metadata are what control how your page information is projected in search results. PPC ads are sold in an auction. Why? It is a paid form of internet advertising where advertisers pay for each click that directs the user to a dedicated website. You pay what you bid for a click on the ad. 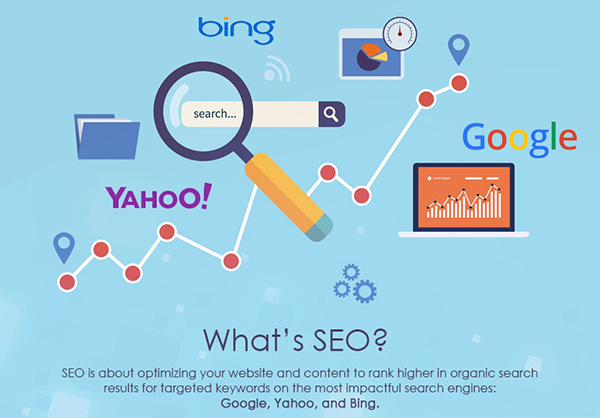 In other words, it can be said that popular Search engines like Google, Bing and Yahoo allow business groups and individuals to buy listings in their organic search results by the way of specific targeted keywords. There are three areas which are to be covered while planning for PPC. Keyword research is the soul of PPC advertising. The Success of PPC ad largely depends on keyword research. Setting up your campaign before conducting keyword research is like taking bath without soap. Link is a very important part of a PPC ad, which is capable of directing users looking for your products or services right away to your website. There needs to be a call to action on the page where your customers land. If you are selling something and you just send your users to your home page and instead not on to the dedicated page of your website, then you may not get the result you’re hoping. PPC is expensive, but then, a lot of marketers even like to go for PPC ad, because of its instant result. PPC is good for business groups and individuals who need instant and not constant traffic. SEO can fetch free traffic for your website and can last longer when compared to PPC. SEO’s return on investment will continue to rise long after PPC has peaked. It improves the user experience and usability of website. SEO helps you earn visitors and instead not pay for visitors. It can bring wonders to your SEO campaign. Pay per click advertising is the best way to get visitors when you need traffic and immediate result. As you pay for PPC when an ad is clicked, it’s easy to trace conversions, manage costs, and track ROI. An intelligently managed PPC campaign is profitable for both, advertisers and search engines. 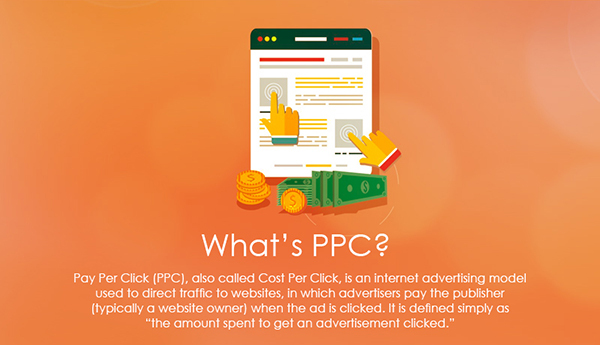 PPC has the potential to drive qualified traffic if it is done in the right manner. 85% of clicks resulting from a search are on the organic links rather than the paid ads. As SEO listings are free and without any sponsorship, the ROI on SEO could be much better when compared with PPC. PPC will display your ads only on that search engine to which you have paid, but SEO will display your ads on all search engine results without any sponsorship or payment. PPC ads can be much faster to generate traffic and bring leads to your website. You can manage your budget and measure your ROI much more easily with PPC. PPC advertising enables you to schedule the ad campaign during the best sales period and further enjoy better ROI. SEO is more trustworthy when compared with PPC advertising. Internet searchers usually trust organic SEO listings more than PPC listings, and instead many of them have even trained themselves to ignore paid listings. If your business, is inclined towards instant result, then you ought to trust SEO. 50% of people arriving at a retailer’s site from paid ads are more likely to buy than those who came from an organic link. PPC enables you to change the targeted keyword of our ad in mid-campaign, so adjusting your traffic to achieve pre determined goal becomes easy. If your goal is brand building then you ought to trust SEO. SEO organic listings and sponsored/paid PPC listings both can place your site on the first page of Search engine result. Choosing PPC or SEO largely depends on your online marketing goals, the time slot in which you want to achieve them and also your budget. In other words, it can be said that if you need instant but not constant traffic, then go for PPC and If you need affordable and reliable traffic for long time, then go for SEO. It is always suggested that, SEO should be combined with PPC for faster and better result. 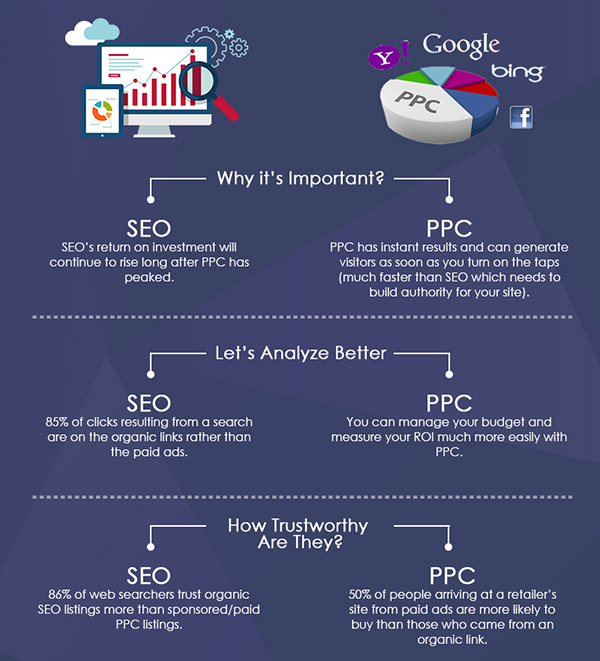 Share “SEO vs. PPC [Infographics]” On Your Site.